← What can I make into jelly now in hot Texas? Natal Plum (carrisa grandiflora) is native to South Africa but grows well in Texas (particularly the southern part), Florida, Arizona, and California. The flower is a beautiful white star. Although the plant blooms in the spring you can find flowers even in fall. I usually find fruit in late September or early October. While not a plum, it somewhat resembles a plum in that it is red, and not quite round. It is about two inches in its maximum size. This year due to the drought the fruit was smaller, particularly in the full sun.The fruit has a taste that reminds me of a ripe strawberry both in taste and texture. The natal plum is said to be high in vitamin C. The fruit grows on a spiny bush that is most often grown here in the United states as an ornamental shrub. In fact, unless you happen to have it growing in your yard, hotels and roadways are where you most probably will find enough fruit for making into jelly. Although the plant is armed with spines, and the leaves have a point that could cause you pain, if you go properly dressed you will go unscathed and fill your pail rather quickly. Long sleeved shirts and gloves will keep you out of harms way. Since the fruit is large the gloves won’t hinder you in picking the fruit. Since it will be hot when picking the fruit, the long sleeves will keep the sun out in addition to protecting your arms. You will need about 8 cups of fruit. Since I had my wife and a friend with me this trip the fruit picking went remarkably fast. Before I realized it we had four buckets of fruit, enough for four batches of jelly and one batch of jam. We could have picked for hours more since the fruit was so plentiful. As usual it hurts me to leave fruit unpicked but the lure of going to the beach led me away. We purposely picked much of the fruit slightly under ripe. We were not able to process the fruit for several days so it was great that the fruit ripened slowly in our pails. Upon arriving home I immediately got to work processing the fruit. Unlike many other fruits, about the only thing I needed to do was to wash the fruit. I then mashed the fruit with a potato masher in my largest pot. I added water to the pulp and proceeded to cook it. After ten minutes of cooking I mashed the pulp again. The juice at this point is a milky red which I found attractive. I poured the pulp and juice into my food mill (with a sieve underneath). The juice ran into the pan below them. The fine pulp that fell into the sieve I set aside to make jam. I then poured the collected juice into cheese cloth, once more scooping of pulp for jam. I poured the 4 cups of juice back into my cooking pot. I added the no sugar needed pectin to the juice when it was at full boil. Upon attaining a full boil again I then added 3 cups of sugar. After letting the mixture boil for a minute I let it cool somewhat before putting it into freezer containers. The addition of sugar changed the color to a dark red resembling red wine. It makes a quite tasty and beautiful jelly. One note about natal plums and cooking pots. The fruit has a white milky latex that gums up the side of your pot. Cooking oil on a cloth does a good job of cleaning the pot after use. The jam follows the same recipe as the jelly except that you will need to add some water to the pulp before adding sugar and pectin. My volunteer tasters claimed the jam delicious with a texture somewhat like apple butter. What does one do with a surplus of Netal Plum juice and a freezer full o Netal Plum Jelly and Jam. The answer is make it into a tasty drink. Take equal amounts of each juice and mix. Chill, stir, and then serve. Absolutely delicious. Freeze the Natal Plum/White Grape Juice into ice cubes. Mix in blender and then add a cup of fruit. Since I always have frozen dewberries I add those to my smoothies. Freeze juice mixture above and then freeze. Partially thaw then chop up in a blender. Gallery | This entry was posted in Recipes and tagged delicious smoothie, delicious smoothies, la prugna del Natal, natal plum drink, natal plum jam, natal plum jelly, natal plum juice, natal plum smoothie, natal plums, ornamental bush fruit, South Texas Jelly. Bookmark the permalink. I have only used natal plum for jellies but I think that you would like the taste and texture of natal plum in a crumble. In appearance I think it would look like a cherry crumble. Let us know how it turns out. First made the jelly in the early seventies after an older person was arrested after being reported by someone in an office buiding for picking the natal plums growing on the city medians. This incident made the evening news and I am sure embarrassed the old lady picking the plums. I read on how to make the jelly then. By the way lter on I went to pick the plums at the same site and I looked up to the office windows and sure enough the snitch was there and she got the bird sign and a few choice words from me. Amazing. The worst that happened to me was a sheriff’s deputy stopping me while I was picking blackberries. Someone had reported that they thought I was harvesting an illegal substance. But I wasn’t arrested since I was only picking tart blackberries. Try making Carissa Caress Burgundy-type Wine. Make the juice as for jelly and then ferment it. We ferment most of our native fruit in The Bahamas, including mango, guava, banana, coconut, scarlet-plum, sapodilla etc. Our law enforcement officers appreciate our efforts. Banana wine. Carissa Caress wine. Sounds tasty. How do you keep the wines cool enough as they are aging? At the bottom of a shallow pool inside an underground cave – no problems as yet, even through three hurricanes. Cool solution! Hurricane Banana wine! Has a nice ring to it. when I return to the Bahamas I will have to visit. We live in what you might call ‘a rural area’ i.e. Eleuthera – one of 700 islands and cays outside New Providence Island, which hosts the capital city of Nassau. Our back yard stretches to about three acres and contains all the trees I’ve mentioned, plus palms (fifty odd), hog plums, scarlet plums, jujubes, avocadoes, sour-sop, mulberry, yucca, tamarind, island cherry, pineapple and more etcetera’s than I can remember at the moment. They all work for their keep in many ways, although we like to experiment with wines in particular. I am green with envy! 🙂 I just have barbados cherries, blackberries, dewberries, Texas persimmon, wild plums, wild peach, figs, pecan, papayas, redbuds, satsuma orange, Mexican lime, ground cherries, loquat, jujubes, bananas, cactus fruit, agarita, grapes,and pomegranates in my back yard. I have to forage elsewhere to get my other fruits. 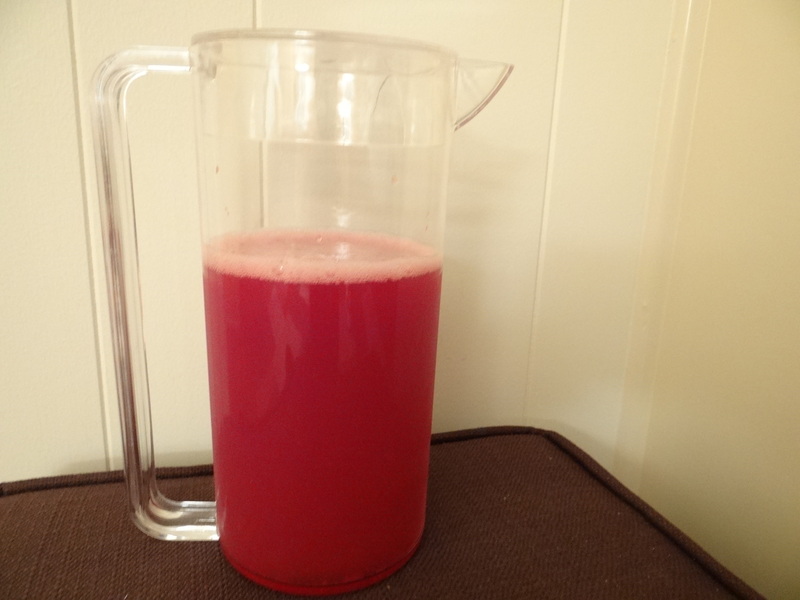 I have been using many of the fruits simply to make juices that I freeze and then that I drink daily. It seems we’re both doing pretty well, emphasis on ‘pretty’. Change of subject: Is there a County called ‘Oldham’ in Texas? Yes there is an Oldham County in northwest Texas. Amarillo is in Oldham county. The county is primarily ranch and farm land planted mostly in wheat. Oldham County has some petroleum production and many large wind farms. Thanks – wanderers all: we started off in England. Bananas, sapodillas, guava, sour orange (marmalade), sea-grape, carissa (hedges), key-lime and a long list of semi-wild from abandoned plantations and self-setters e.g. mango, tomato and strawberry.